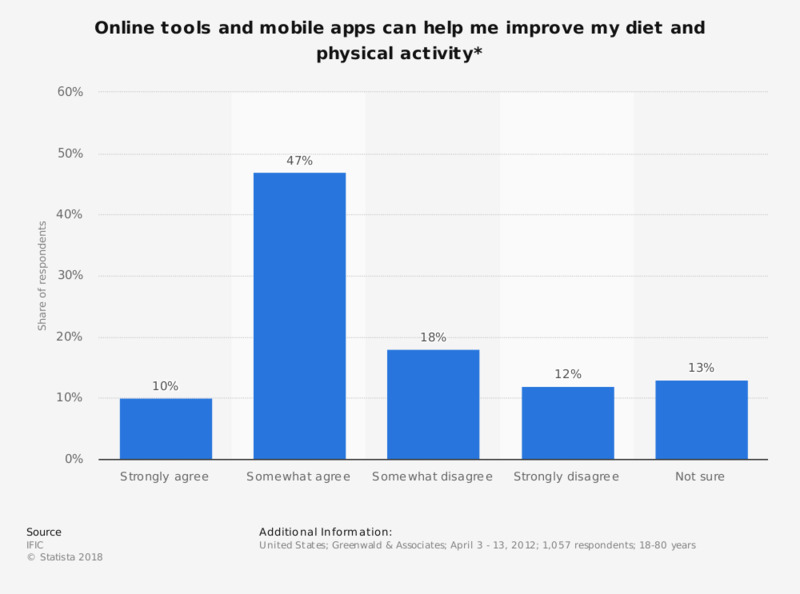 The statistic shows how respondents rate online tools and mobile apps as useful help for improving their diet and physical activity. 10% of respondents strongly agree that online tools and mobile apps can help them improve their diet and physical activity. The source preceded the statement with the following question: "To what extent do you agree or disagree with the following statement?" What does nutrition represent for you?